We were in Vancouver when last I wrote. 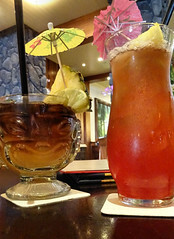 We transferred to an airport hotel, a Ramada, so we would be handy before flying out to Honolulu. In retrospect, considering that it wasn’t that expensive to get a cab to the hotel and wouldn’t have been much more than that for the airport, we should have booked an extra day at the Rosedale on Robson and spent the last day downtown with the luggage being held until we could go directly to the airport. Lessons learned. The flight takes about 5 hours and the airline is Air Canada Rouge, not a great choice but that’s what they have for the flights to Hawaii. We did pay extra to get seats with extra leg room and I think the Travel Gods we did because even with that, the seats felt cramped and uncomfortable. Daylight flight, no chance for a nap. We arrived late in the evening and eventually nabbed a cab into the city. Two tickets on an airport bus wasn’t a lot less. For the convenience, taxis are it. We checked in to the Hilton Garden Inn Waikiki Beach nearly 11 p.m. The travel agent had forwarded a message that we are on our honeymoon and celebrating a milestone birthday so they upgraded us from a “partial ocean view King room” to a one bedroom suite with a partial ocean view. Nice! But we were taken aback when we got to the suite. Two double beds instead of a king size or queen size bed. For a honeymoon. Someone missed the boat there, I think. We went back to the desk since we were heading to a little shop that was in the lobby anyway to stock up on drinks and snacks and asked them about it. Oops! They were full up for that night so couldn’t change us but offered to change the next day, just let them know. We were more amused than irritated, really. When we went back upstairs, we decided to unpack and keep the room. Considering how badly I’d been sleeping so far this vacation, I think he’d have had a better sleep with me in the other bed and we could always cuddle in one if we want. The room is on the 19th floor so it’s quiet and has a pretty good view towards the city and Diamond Head, the inactive volcano at one end of the city and we can see the ocean when looking down to our right from the balcony that we have with the room. It’s pretty amazing to stand outside as the sun comes up over the buildings. It’s already nice and warm. Hawaii is going to be different things for different people. 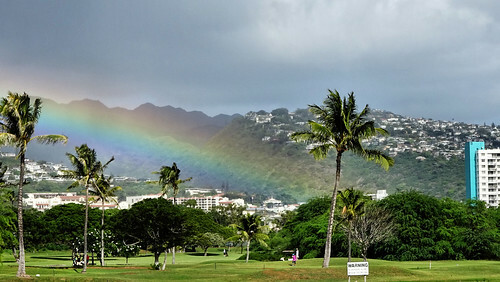 A vacation based out of the city of Honolulu is going to be more commercial than at one of the resorts on Maui or one of the other islands. Waikiki has shopping, boy, does it have shopping, top end designer gear. There are, of course, plenty of souvenir places, restaurants and cafes for all budgets. They have museums and galleries and malls (oh my!) and another major attraction is Pearl Harbour which is still a military base of operations in addition to a memorial to the attack by the Japanese that pulled the United States into WWII. 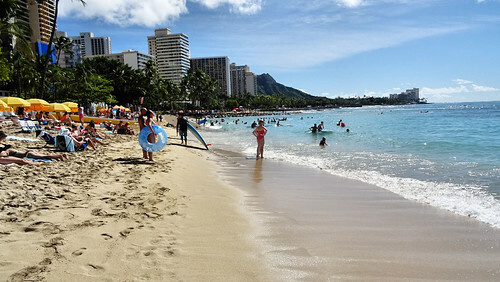 Ironically, Japanese tourists are the major group of tourists to Hawaii these days. We want to get oriented so our Day 1 intention is to find the hop on hop off trolley tour and get around on that. There’s a desk for an Expedia rep in the lobby and they set us up with vouchers though we still have to go to the starting point to exchange. We also used them to rent a car for Saturday so we can explore some of the island away from the city. The depot for the trolley tour isn’t too far, in the basement/garage of a department type store. They have four routes and you can use the ticket for 48 hours in November (probably all winter, not just November but I didn’t ask) We made time for two of the routes, one through the city and one that went up to Diamond Head and got a good look around. We had a late lunch at the Hard Rock Cafe, a place we always like to visit in a new city because we know the food is always good. We then picked up the Diamond Head route tram with some go views along the way up. I’m not a hiker so never did plan to do any of the hiking there but in any case the hike to the top was closed due to wind. Even though the sun was shining and any cloud cover seemed quite far away, we felt sprinkles of rain now and the. A bit disconcerting but on the plus side, there were rainbows! On our second day, we had tickets booked to Pearl Harbour via a tour operator. We were picked up at the hotel in a nice mini-bus with a uniformed driver who was a very informative guide as well. Pearl Harbour entry prices can cover a variety of things. 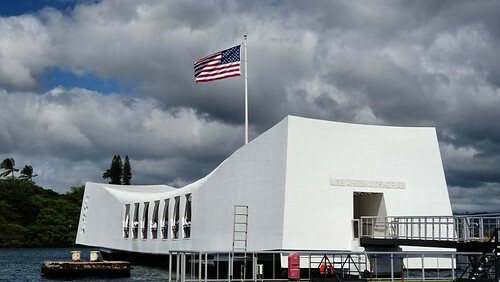 I think the basic set up is the USS Arizona memorial with a film included and that’s what we got. 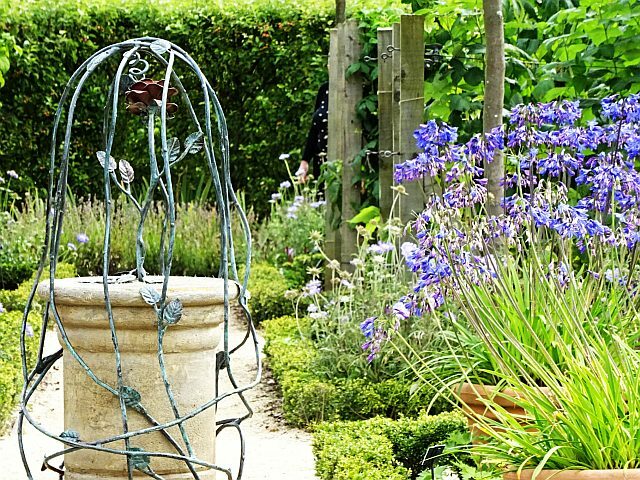 There are other museums on the grounds and while some are free, some are not. I’m sure you can get a one-ticket-covers-all at the gate and you certainly could spend all day if you wanted to see everything. The film was about how America got into the war, focussing on Japan’s aggression and the politics of the time. Very sobering. They discussed the Japanese attack and the aftermath which was also sobering. Then we were on a boat that took us out to the USS Arizona memorial, a long white structure that sits over the actual battleship, still sunk in the harbour with over 1000 sailors’ bodies still entombed in it. Some of the ships that were bombed and sunk were brought up but the Arizona was left as is, far too damaged by the huge explosion set off by a bomb. Some of the bits of the ship were salvaged but most of it was beyond repair. It’s a very peaceful memorial. You can look down on the remains of the rusted ship and watch the fish swim and in and out of the blue water surrounding it. We wandered around the grounds for awhile, looking at various information signs and markers and having a look in the very good gift shop. They also had a kiosk where you chose an oyster from a bowl and they would open it up for you to reveal your pearly treasure. Then, they hope you will buy a gold or silver setting to put the pearl in and that’s where it gets very expensive for the most part. I tried the oyster, and I actually got lucky and got two pearls! I did eventually find something to put a pearl in but they offered me another go for free. That oyster came up with another single pearl and I contributed that to the charm I had picked out. I saved the two pearls and brought them home. My cousin’s husband makes jewellery and I sent them over so he could put them in a pair of silver earrings for me! 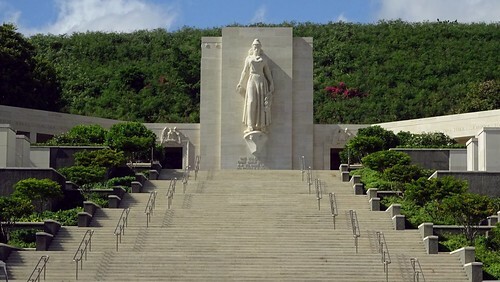 On the drive back to the hotel, the driver/guide took us up to the Punchbowl volcano where the National Memorial Cemetery of the Pacific is. It’s a military cemetery with all of the stones set flush into the ground. there’s a lovely memorial at the end with steps and a huge statue representing Lady Columbia or Justice. There are good views over the city from up there, as well. We finally got to the beach the next morning. 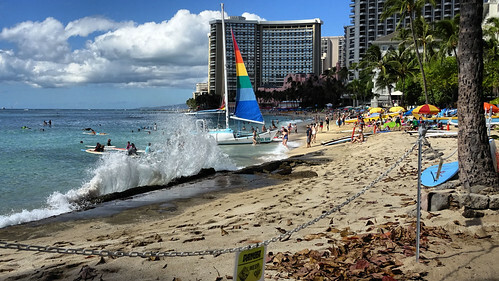 Waikiki beach seems to be a long series of beaches, or just one but which seems to be segmented when a hotel juts out into it, probably to keep their bit of it more exclusive I suppose. It’s not quite what I expected, but it is in the middle of the city. The sand is white and warm and the water wasn’t cold either. We aren’t “beach bums” and we weren’t there to sit and soak up the sun or to swim but we did walk along the beach for a little way, people watching. There was a lot to see, too. You could rent surfboards and boogie boards, chairs and you could take surfing lessons and boat rides.There were a number of food and drink kiosks as well and some huts with public toilets. There were palm trees. Oh dear God the palm trees! Having seen them elsewhere in the city, I noticed one thing.They had all been stripped of coconuts, probably safer that way so one didn’t fall and knock out a tourist! Because there was no large expanses of beach that didn’t extend for miles, it seemed more intimate, cozy and quite a nice place to spend a few hours. 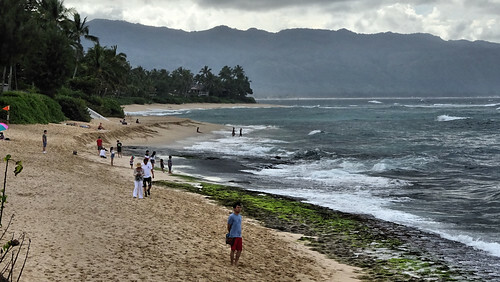 We saw another part of the beach later on, at the end opposite to Diamond Head, which did seem to have a large expanse of sand by the water with the tree line away in the back. I think it was Fort Derussy beach park. It seemed rather dull, actually. Not as picturesque as the main beaches in Waikiki. We picked up a quick lunch at a food truck which was quite tasty. For the afternoon excursion, we had booked tickets on the Atlantis submarine. We went with the Premium cruise as it gives you a little more personal space in the submarine. 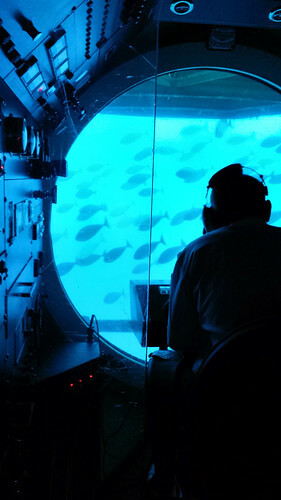 Each person has a large porthole and the sub goes down to 100 feet. The photos on the website make it a lot brighter than we saw it. It was very blue and a bit murky but you could see the fish and the reefs quite well. We saw a couple of white sharks, too, lying in the sand by the artificial reefs, created there in addition to a couple of wrecks. They turn into proper reefs over time and the fish make them their home. It was fascinating and the guide/narrator was entertaining, as well, with lots of bad jokes and gentle humour. It is something we will never get a chance to do again and we really wanted to have something special to splash out on for our honeymoon! We were taken back to the hotel and we wandered around the neighbourhood looking at the shops. I allowed myself to get pulled into a skin care store for a little mini facial, with a hard sell for the creams and cleansers of course. It’s fun to see how low they’ll go and what they’ll do for you to get you to buy something. In the end, the young man found a “damaged” box of one item and offered it less than half price. I very much doubt it was damaged when he went into the stock room to get it but who cares!? We walked along a bit further when G. noticed a sign for a revolving bar at the top of one of the towers so we went up for a drink. The bar revolved so slowly you never even noticed until you glanced out the window and saw a different aspect of the city! I think this was also the evening where we discovered Japanese Ramen Noodles! Our first time with this kind of cuisine and it was very nice. We saw the tail end of a hula show in a shopping mall. One other evening we at at the Hula Bar in one of the better known hotels where we had fancy drinks with umbrellas and my creme brulee came in a pineapple bowl. That is,a bowl which was the actual pineapple! You’ve gotta do these things when you’re in a place like this, right? The next day we walked around the block to pick up the rental car and headed out around the coastal route. There are lots of photo stops and we took advantage of a few. The scenery was lovely, with beach and ocean on one side and mountains on the other. There are small towns as well, with little cafes and shops. We made a stop at the Polynesian Cultural Centre to have a look at the shops and have some lunch. The centre holds special exhibits like a living museum and they do big luau shows at night as well, I believe. But the cost of just the basic ticket to get onto the grounds where the bigger exhibits are is scandalously huge and we didn’t want any part of it. We did like the shops, though and there was an exhibit in the main building with artifacts from various Pacific cultures. 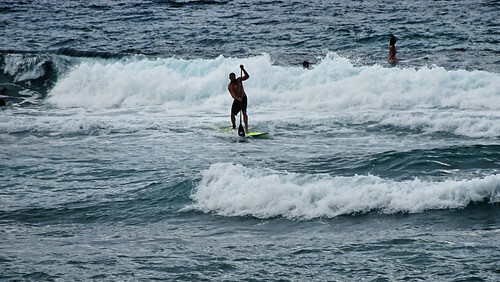 One of the things I really wanted to see were the surfers on the famed North Shore beaches. Unfortunately, we were losing the sun and the wind and the waves were not any higher than those we get at home on Lawrencetown beach! Winter is the best time to see the championship surfing with high, crashing waves but not today! We drove a little further along the north of the island and then headed back to the city. We did have a bit of trouble finding a gas station and when we did, of course we were too many lanes away and the traffic was horrendous! When we finally managed to get into the gas station, the directions on the pumps were not very bleedin’ obvious as per the rest of the trip! Eventually we got it done. The next challenge was finding the hotel where the car had to be returned. The GPS is partly to blame here, I think and we ended up in a private residential parking garage that was narrow and very tight when we tried to turn around and get out again. We ended up with a door scrape but luckily we did choose to get the extra coverage that day. We found the right place and left the car. All the stress of the last half hour, the traffic and gas station and parking debacle kind of put a damper on the day but it was a nice day over all. On our last day, we got a little extra time before check out because we wanted to use the coin laundry in the hotel . Yes, boring, but it had to be done! After checking out and leaving the bags at the hotel, we took at taxi to the huge Ala Moana shopping centre. We were looking for lunch primarily and found a Korean food place in the food court. We walked around a little bit but we’re losing our energy and decided to go back to the hotel. We went to the pool and had a drink to kill some time and finally decided to go to the airport a bit early to give ourselves extra time. We faced another overnight flight which was just as uncomfortable as the flight out so I didn’t get any sleep. And because it’s Air Canada Rouge, there’s no entertainment unless you use your own device and stream it through the Air Canada App or you rent an iPad from the flight crew. (Business class gets the iPads for free). Another night of no sleep and finally back to a rainy Vancouver for the last couple of days, spent with my cousins catching up. 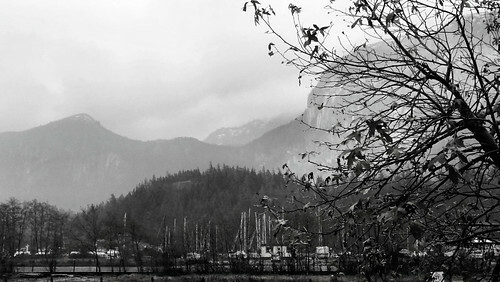 We didn’t do a whole lot as we were pretty tired by this time though did have a damp and foggy drive up to the town of Squamish at the foot of the Rockies. Honeymoon came and went and it was worth the wait of two had a half years. We saw and did some new things and enjoyed the company of friends and family as well. Well written Diane! I sent it on to Marian who likes to get these posts. It’s definitely a touristy place for sure. 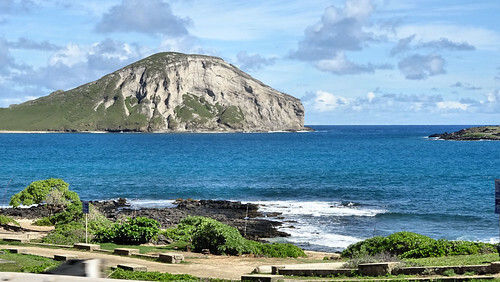 Probably the other islands might be more laid back than city visiting in Honolulu and Waikiki but even then you can get outside the city for some nice views and beaches. It was nice and I’m glad we went but we probably will never go again. I suspect there are lots of places like that. Nice to have been and seen, but nothing to draw you back. Yes, though so far it’s been that feeling for attractions more so than cities.